Dr. Vanderpool understands that undergoing breast plastic surgery is a very personal decision. Not only can breast enhancement through augmentation with breast implants or breast lift help you to have a more proportionate, feminine shape, but it will also improve your self-image and the confidence that you display. Many women testify that this is life changing. For women with very large or heavy breasts, undergoing a breast reduction can relieve not only physical discomfort but also provide an equally important boost in emotional wellness, as they become free to live a more active, confident lifestyle. 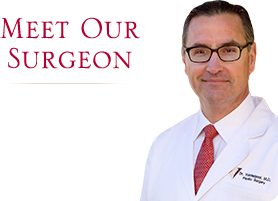 In choosing Dr. Vanderpool, who is a member of the American Society of Plastic Surgeons, you can be sure that you will receive the highest standard of safety, skill, and care. His goal is to promote an enhanced confidence, renewed enthusiasm, and improved appearance, revealing your true strengths while reflecting your inner beauty.